Chugiak's Best Kept Secret! 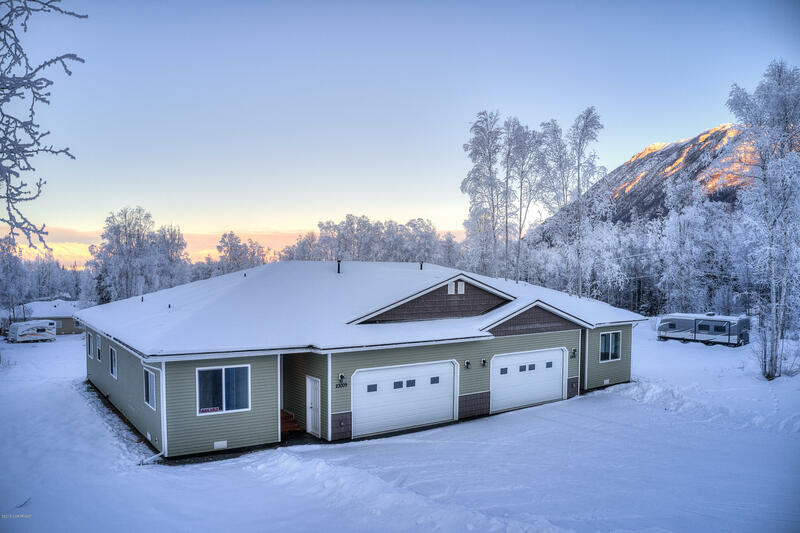 Tucked away in Chugiak you will find these beautiful brand new ranch style town homes on 1/2 acre lots. Located minutes from Three Bears Grocery, Post Office, Chugiak Elementary & Chugiak/Eagle River Senior Center. These homes feature 9ft vaulted ceilings, extra wide halls and doorways, granite counters, stainless appliances, full extension soft closing cabinets through out. In-floor radiant heat throughout on three zones, including the garage. Over-sized garage & extra tall garage doors to fit your truck & utility sink. Spacious, private master suite with two closets + linen. Lot can be fully fenced. Gated RV parking area & ADA friendly. Built 5* Energy Rated.